Epilithic algae are a ubiquitous component of coral reefs. Components of the epilithic algal matrix (EAM) can have a significant influence on coral settlement and benthic feeding by fishes. We employed a herbivore exclusion experiment on a fringing reef in Viti Levu, Fiji, to investigate the functional role of herbivorous fishes in affecting the EAM between different habitat types and levels of community-based fishing restriction. We surveyed the herbivorous fish community and deployed experimental tiles on the reef flat and lagoonal slope and inside and outside of an area where fishing is restricted (tabu). Tiles were deployed for 3 months, half within cages to exclude herbivorous fishes. We then identified algal type and quantified epilithic algal turf height, sediment dry weight, and detritus within the EAM on each tile. EAM that developed under herbivory was remarkably similar, regardless of the differences in habitat or fishing restriction. In contrast, EAM within cages was characterised by longer turf, heavier sediment load, and high variance in turf length and sediment load. Habitat type played a strong role in determining EAM characteristics where herbivores were excluded. Caged EAM on the reef flat was characterised by algal turf and fleshy macroalgae, whereas EAM in cages on the lagoonal slope was overwhelmingly dominated by filamentous and mat-forming cyanobacteria. 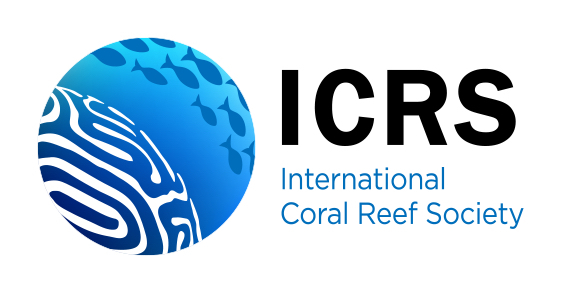 The results presented here demonstrate the importance of herbivorous fishes in maintaining a benthic environment favourable to coral settlement and survival. Our results suggest that herbivore biomass per se is not a reliable predictor of foraging activity. 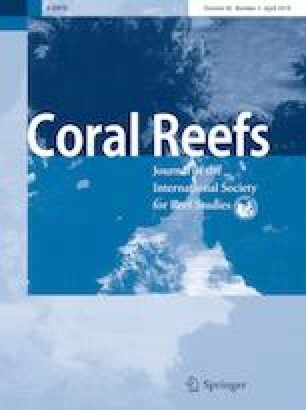 Moreover, these results show that the absence of herbivore foraging can have different consequences depending on the habitat type, even within the same reef. The online version of this article ( https://doi.org/10.1007/s00338-019-01780-1) contains supplementary material, which is available to authorized users. We are grateful to the communities of Waiqanake, Muaivuso, and the rest of the Navakavu for their assistance, logistical support, and access to their reefs. The study also benefitted help from Akuila Cakacaka, Wildlife Conservation Society Fiji, Fiji Locally Managed Marine Areas (FLMMA) Network, Michael Schmid, Ulrich Pint, Stephanie Helber, the Fijian Ministry of Forestry and Fisheries Central Division, the University of the South Pacific Chemistry Department, and Matthias Birkicht. We also thank the editor and three anonymous reviewers for their time and comments on a previous draft of this manuscript. This study was financially supported by the German Federal Ministry of Education and Research (BMBF) within the REPICORE project (grant 01LN1303A), the Rufford Foundation (Grant 18231-1), and additional support from the Kellner & Stoll Stiftung. The research reported in this paper contributes to the Programme on Ecosystem Change and Society (www.pecs-science.org).